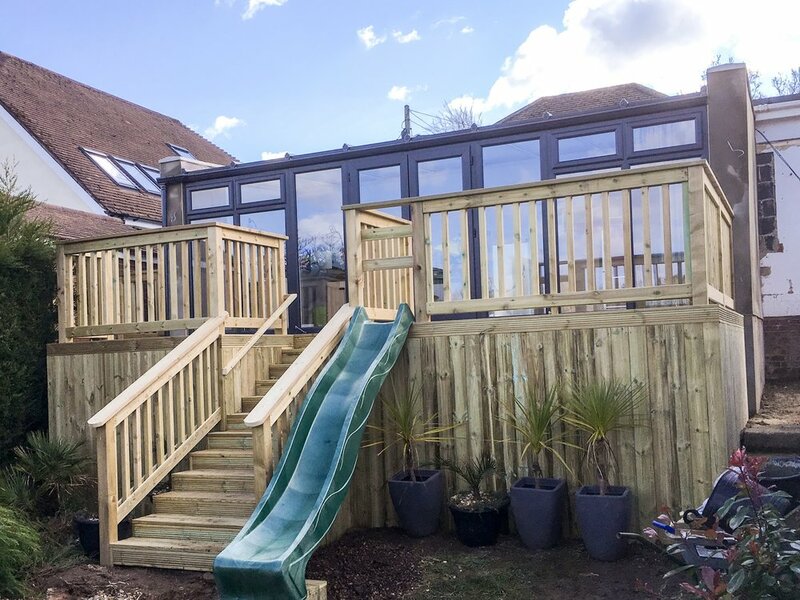 We specialise in the installation of fence panels, close board, palisade, concrete posts, we also install gates and decking for both residential and commercial customers in the Dorset area. All photos on our site show examples of work carried out by the Poole Fencing Company. We offer Free No Obligation Quotations. We are based in Penn Hill, Poole. Concrete Post & Panel fencing, Closeboard fencing , Agricultural & Trellis work. Free estimates can be given along with help & advice when required. Whether you are thinking about a large elevated Deck for entertaining or a small space for relaxing. We can design a Deck for your home and provide several different options for materials, including real treated timber & composite decking. We supply and fit a wide variety of Driveway and Garden Gates, constructed with a range of high quality Softwood, Iroko hardwood and Cedar hardwood. Gates can be made to measure to suit any situation. We build a range of buildings suitable for a home office, but they can be used as hobby rooms, for artists, cinema rooms, games rooms and gyms. Our garden rooms can come with heating and indoor lighting, and they are so well insulated they can be used all year round no matter the weather outside. Visit Dorset Garden Rooms for a free no obligation quote.